A complete view of all the kits and combination lockout tool sets. 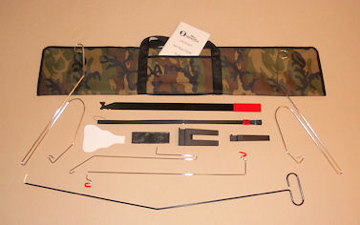 Individual lockout tools of the hard to find tools to complete your inventory. Detailed lockout instruction manuals, lights, covers and various other devices. Feel free to browse our online business for all your professional lockout tool needs. We've been manufacturing the highest quality lockout tools for Towing & Recovery and Law Enforcement Professionals since 1986.